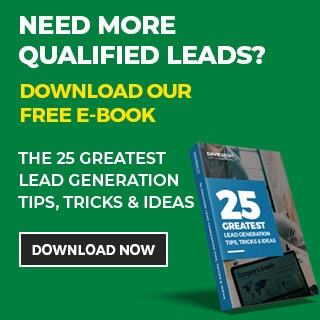 If you’re an Australian B2B business that's not actively engaged in email marketing, you’re missing out on B2B lead generation opportunities. There is a lot of competition for your client’s inbox, and they will decide whether to open or delete your email in just a few seconds. Customers like to be recognised as individuals and feel valued by your business. Sending out a monthly mass email is no longer enough. "Emails tailored to specific audiences get 50% more clicks than their counterparts." So, how do successful B2B companies reach clients and generate sales leads? They segment client databases for more streamlined email marketing lead generation. Segmenting involves breaking up your database into smaller, related groups linked by one key characteristic that is relevant to your business. You can segment your database into past and prospective customers. To build trust and credibility with prospective customers, offer expert advice and educational content. For existing customers, utilise data from previous purchases to customise advertising according to areas of interest. Adjust products to match level of spending and send special offers to clients who have gone silent. A buyer’s location plays a significant role in their purchasing choices, so geography is important when segmenting B2B databases. Geography can place limitations on buying, for example shipping costs must be factored in. Your geographic data can inform the timing of email dispatch for different time zones. Location specific content can also be used to draw clients in, such as invitations to local events. Email marketing campaigns should have an industry focus. Segmenting your database according to industry allows B2B business owners to concentrate on industries in which they've had wins in the past and aim for improvement where they've have been less successful. Most industries have their own language and terminology which can be used in your communications. There are also industry specific needs and aims which can be worked into your campaigns. The size of a company is measured by either annual revenue or number of employees. When segmenting according to company size, decide which ranges are meaningful to your business and use those. Do you generally have more wins with certain size companies? Your sales history will reveal where you have the most success. You can then target your email marketing at other companies of a similar size to attract more business. 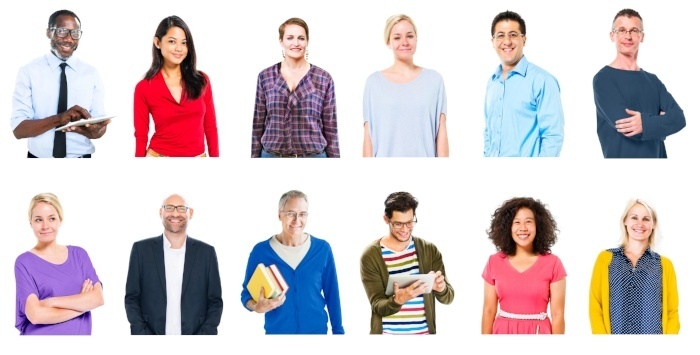 Demographic data includes information like; age, gender, geography and income level. This data tells you a lot about a person’s needs and interests. Decide which details are relevant to your business and ask for them in the email sign-up process. - What is their income?- What does a typical work day look like?- How do they spend their free time? There's lots of great software available that track website activity (i.e. customer scrolling behaviour, menus visited and time spent on pages). This information helps you streamline your message for your target audience. A June 2016 survey of marketers conducted by the Direct Marketing Association (DMA) and Demand Metric found that email had a median ROI of 122%—more than four times higher than other marketing formats examined, including social media, direct mail and paid search. Segmenting your client database is the most effective way to benefit from the significant ROI of email marketing. Segmenting your database allows you to refine your email content based on the needs of different groups. So segment your way to success!